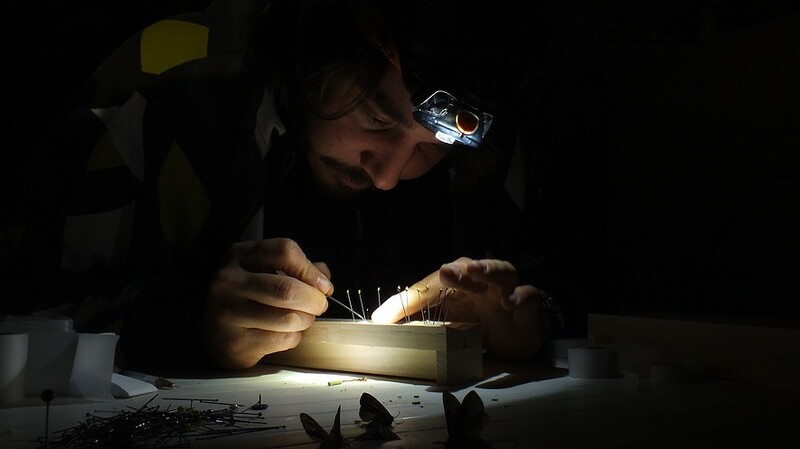 An entomologist prepares moths caught at night in Yonne, France. Photo by: Matthieu Gauvain/Wikimedia. 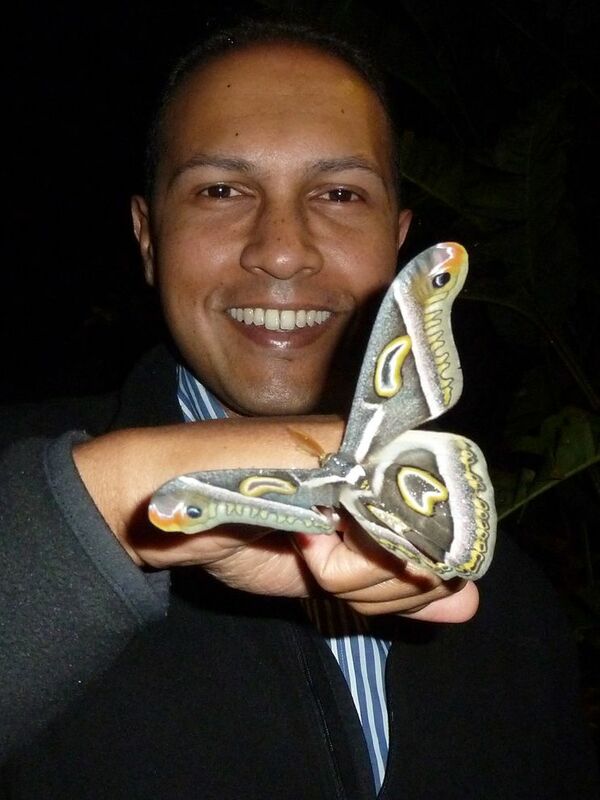 Dino Martins is an entomologist and National Geographic Emerging Explorer. He studies pollinators and how they interact with the environment. 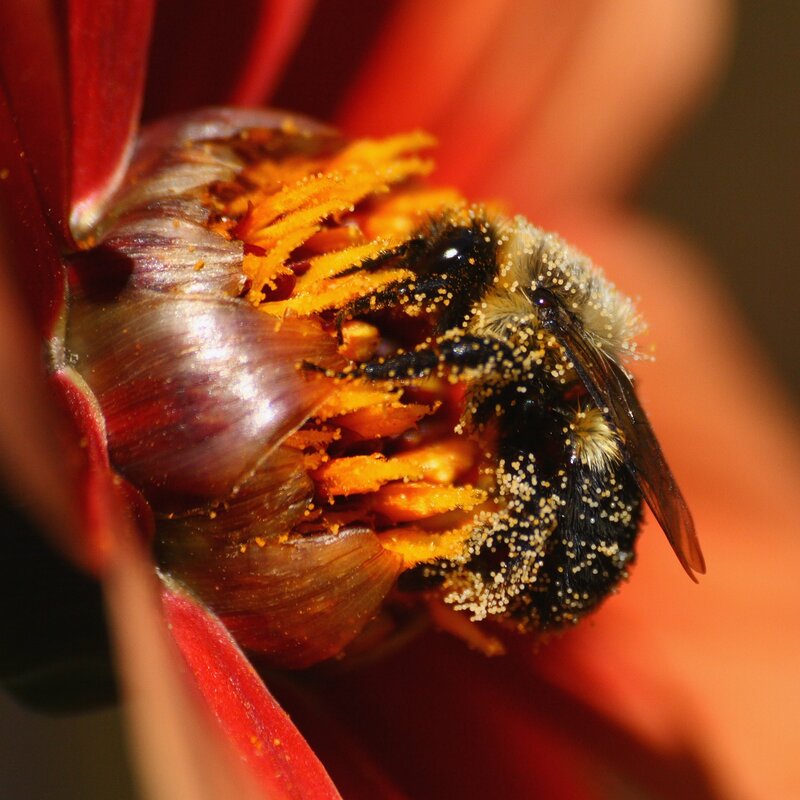 Pollinators are animals, objects or forces such as wind that transfer pollen from one plant to another, allowing seeds to develop. Most of Martins’ work focuses on bees and other insects that are responsible for pollinating plants from almonds to zucchini. “Insects are the invisible, behind-the-scenes workers that keep the planet going,” Martins says. Martins grew up in Eldoret, Kenya. Today, Eldoret is one of the fastest-growing cities in Kenya, but Martins says it was a “farming town” when he was growing up. The rural area surrounding Eldoret meant “there were always plenty of bugs,” Martins says. In fact, “my earliest memories are of insects,” Martins says. His interest may have been sparked by watching the “eruption of color” near local streams as hundreds of brightly colored butterflies ascended after taking a drink. Some of the insects Martins wanted to bring home for study were dangerous, like scorpions, or found on roadkill — animals killed by vehicles on busy roadways. Still, his parents were both naturalists and encouraged his interest in bugs and the outdoors. In high school, Martins volunteered with the National Museums of Kenya. The organization supports natural science and ecotourism as well as art and culture. Martins volunteered with the entomology department, of course. After high school, Martins went to the United States and graduated with degrees in anthropology and biology from Indiana University in Bloomington. Martins returned to Kenya and briefly abandoned his work with bugs to pursue what he thought of as “more serious work” in anthropology. Martins uses geography before, during and after his work in the field. Before even going out, he consults maps of the area he’s interested in. He keeps an eye out for any unusual features, such as volcanic hills. These geographic features may create “sky islands,” small habitats with distinct vegetation. For instance, most desert plants are low-growing, with small flowers close to the ground. Hills and rocky crags, on the other hand, provide more spaces for plants to grow, leading to larger stems and flowers. “One of the ways we work is that we’ll catch [an insect] and place it in a cool box. We’ll place a harmless colored dot on it, with a number so we can identify the individual. We record the GPS where we tagged it, and then we let it go. As we’re studying the area, we may come across the same insect again, and we record that location. Martins and other entomologists use geography to help identify new species of insects. It doesn’t always take them where they expect. When Martins thinks he may have spotted a new species, he often takes out his magnifying glass and looks it in the eye. Although Martins encourages families to visit museums and butterfly gardens, he stresses the importance of just looking around. Write three paragraphs in response to this prompt: Would you consider a career in this field? Why or why not? Use details from the article and from your personal life to explain your answer.